﻿ Hooters Casino Hotel, Las Vegas (NV) | FROM $21 - SAVE ON AGODA! "I really liked the hotel and staff." Have a question for Hooters Casino Hotel? "The price is reasonable and room is very spacious." "Hooters restaurant has great food and staff." "Good Location, free parking, spacious room, free water bottles, prompt service;"
"Hotel full of friendly staffs." Situated one block from the famous Las Vegas Strip and 1 mile from McCarran Airport, Hooters Casino Hotel is a stone's throw from the Las Vegas Convention Center and the Fashion Show Mall. Famous for the Hooters' girls, the fun-filled hotel is ideal for any Hooters fan. Located a block from the Strip, the hotel offers a lively pool complex with a sundeck along with a lounge. Guests wouldn’t want to miss the signature restaurant with the famous chicken wings which can be delivered to every guestroom. If you are a Hooters fan and love gambling, Hooters Casino Hotel is surely a perfect choice when traveling to Las Vegas. A credit card security deposit of USD 100 per night is required upon check-in for charges or damages during the stay and will be refunded upon departure. A property fee will be collected upon check-in for Wi-Fi/Internet access, phone calls, safety deposit boxes, bottled water, printing services and fitness center access. We sincerely apologize if your visit was less than satisfactory. We are dedicated to improvement and would appreciate any additional feedback you may have. Everything in the rooms are dirty and need to be renovated, especially bathrooms. Bathrooms are really old, dirty and stink. Toilet is not working properly. 2 rooms are the same but one room is worse because of the light. It’s really dark in the room. They should provide more light in the room. How come they provide one tiny light on the ceiling? Not worth for money. Not coming back and not recommend to anyone. This review would have been a all around 5 star if the rooms had mini fridges. David, Thank you for the kind review. Although a mini fridge is not a standard amenity in our rooms, they can be added for an additional fee. We hope to see you again soon. The price is reasonable and room is very spacious. Front desk staff is very friendly and free parking space is provided. Only downside is bathroom water temperature become very hot out of sudden and it nearly burn my skin. Water pressure inconsistent too. Stationary shower head is very difficult to use too. Should have change to handheld shower held for guest convenience. First, this HOTEL is not on THE STRIP its a long walk from the strip The toiletries are BATH & BODY WORKS but they're so stingy like if they see you have your own soap and shampoo they won't give it to you. The $25 food credit is great you can eat anywhere in the HOTEL and sometimes you just had to tip. Its a good stay but i'll rather go to a hotel closer to THE STRIP. Thank you for the review. Please come see us again soon! They allowed us early check in without making us pay. Late check out as well. Friendly staff. Very spacious rooms. Was here on just a quick stay while passing through. Rooms are comfy bed is soft. Restaurant is good Hooters food. For the price its perfect. Not the 4 Seasons but for $30.00 is a great deal. Would stay again for sure. Went to stay for a few nights before I leave Vegas for home. Saw it on Agoda and thought that it was really cheap and the distance was really near to my school (2 bus stops away). For the price I was paying, I was expecting really cramp room with zero facilities. However, the room is actually very spacious and comfortable. It is actually walking distance to the Strip! That's whhat I love the most! 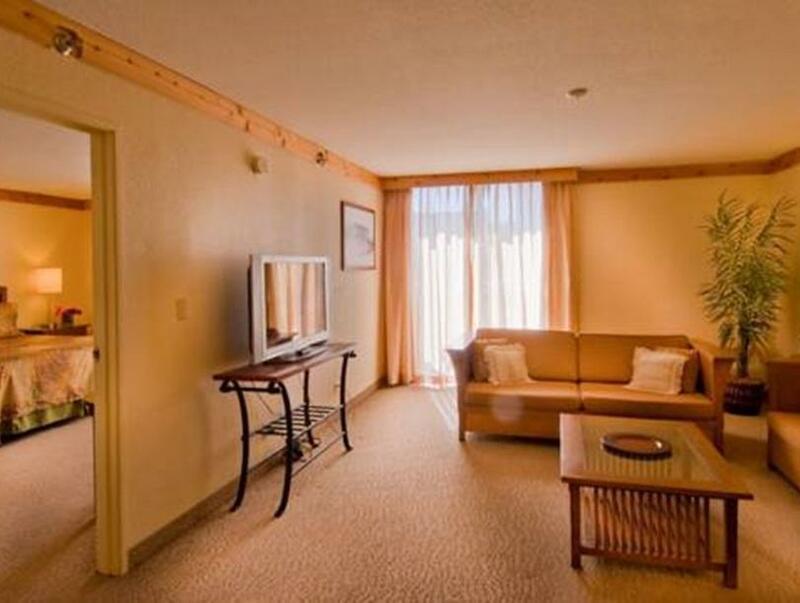 Overall the hotel may not look furnished at all and looks quite old, for the price, it is definitely worth it. I have stayed hear a number of time, I like the location it is just a short walk to the strip. I use this hotel just for accommodation, it has a small gaming area but I head out to the larger casinos for nightlife. The rooms are large and clean, there is no wifi and no mini bar. Over all I would stay hear again because for me it is all about the location and value. If you just want a clean place to rest look no further than Hooters. For all the time we were in the room we loved the place. Thank you for the kind review! Please come back again soon! Didn't clean the room every day. The guests from across the room were very noisy and we call several times for assistance and no one answered the call. At one point the security guard attended the noisy room and he was louder than the guests... We never received any words of apologies. Will not recommended or stay at Hooters my next visit. We sincerely apologize if your visit was less than satisfactory. This is not what we like to hear and not the standard we hold ourselves to. I will make sure your comments reach the appropriate management so we can improve. Thank you for your feedback. Hello- Although the third party "confirmed" the 5 guests, for safety reasons, our rooms are only able to accommodate 4 persons & the charge for the Roll away beds are $15 per night. We apologize for any inconvenience or confusion this may have caused. Bad design to have to walk through a very long, loud, smoke filled, casino in order to get to your room. It stunk and when you weren’t in the mood for loud music, like at 6 in the morning,you had no choice. Sink was plugged, towel rack was broken and the enamel had worn off the toilet, which is unsanitary and shows the age. Check fine print- all hotels with casinos charge a $30+ fee in addition to the fee posted. I really liked the hotel and staff. I was a little disappointed that i had to ask for extra pillows 3 times but was able to survive it. The only thing I didn't like but I'm sure is typical In Vegas is the smell of the water. The room was spacious and the beds were big. We liked that we were able to leave our luggage with them before the check in time. Wifi was a bit weak in the rooms and even the lobby when we needed to open our company emails, we managed to open using a food court’s wifi. I was expecting something a lil different based on the name of the establishment, but luckily this hotel wasn't filled with flying Owls. It was a good value for the money and the location. I definitely enjoyed my stay. Thank you for the kind review. We hope you'll visit us again soon.